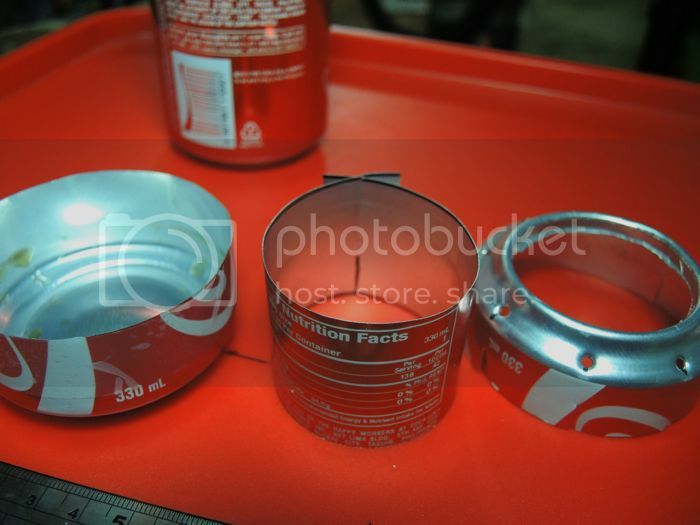 this last week, i was mildly obsessed about making can stoves. i crossed the street to JT's manukan to ask the waiters for empty soda cans, walked to handyman in alphaland makati place to purchase some hardwear, and took out my cutting board so i could start working. initially i used a paper cutter and surgical scissors, but had to upgrade to an industrial knife and pruning shears (the metal scissors were just too large). i posted my work progress on facebook and i surprisingly got a lot of attention. but i felt undeserving of it since it wasn't really an original idea. i've already made can stoves before, when i was just starting to climb mountains, but it was a fleeting endeavor that was quickly abandoned after i purchased my first liquid fuel stove from MSR. i still have these backpacking stoves. they've accompanied me in many of my outdoor jaunts, helping me prepare my meals including my now famous perfect rice. they're beasts on the campsite that provide a reliable source of fire. but that's exactly the point: in order to work very efficiently, the stoves have complicated designs that involve burners, pumps, priming cups, valves, etc. which all add up to a rather bulky piece of equipment. but what really inspired me to make a can stove was my solo climb to mount tenglawan a few weekends back. as i narrated in my story, i realized, rather belatedly, that i had forgotten to bring fuel. although i packed my MSR dragonfly, there was no way i could use it since the bottle was left home, so i had an extra 500 grams of useless gear in my backpack. immediately after i returned from that adventure, i started looking up lightweight stoves. i was about to buy one when i realized that i could very well make my own that's less than 50 grams, at a fraction of the price, and with the priceless satisfaction that it was my handiwork. 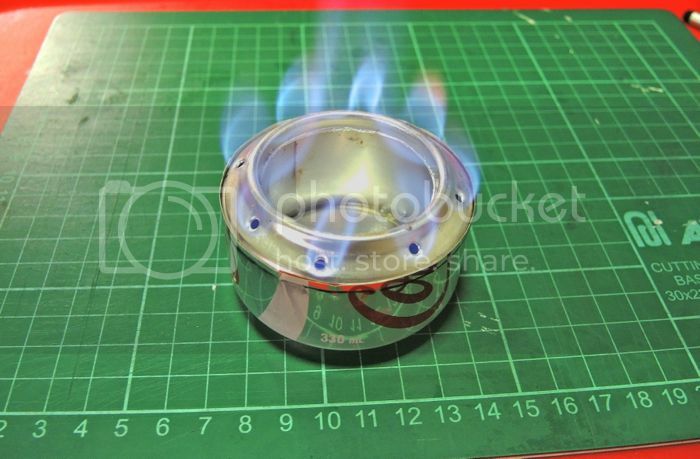 so i shelved the idea of getting an alcohol stove for the meantime, and instead researched designs for making an aluminum can stove. 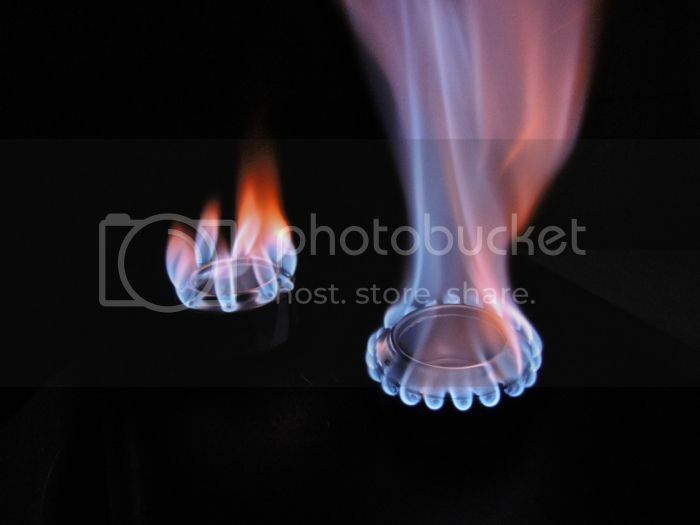 the basic design is really very simple, and all you probably need to know is available on these two websites: the soda can stove and zen stoves. the concept is really to have an open-top, double-walled stove that "boils" fuel so that it's pushed through a ring of burner holes. 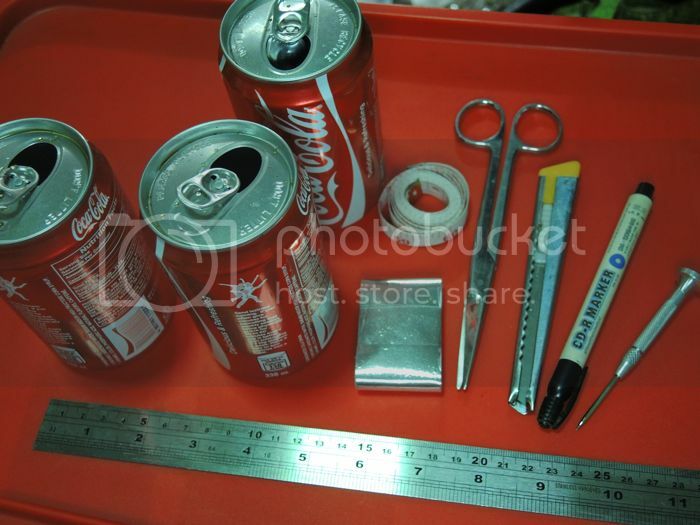 it sounds more complicated than it actually is, since you only need two empty cans of soda, scissors, a sharp knife, an awl (a pin or thumbtack would also serve the purpose), and a pen. aluminum tape and heat-resistant silicone are optional, but useful in plugging leaks. to illustrate just how easy it is to make this stove, my first one worked nicely, although i did rip the aluminum on the bottom part. a needless reminder though: you're working with sharp objects and even fire so be very careful. i haven't cut myself (yet), but i did scald my thumb while testing and photographing the stoves. i'm still perfecting my technique, and a lot of these crazy japanese instructional videos are broadening my design options. hopefully, i get to make one that's just the right size and use it in the field. if any of you are curious about making this project, let me know. better yet, if any of you have gear that might be useful in polishing my otherwise crude workmanship, send me a message. finally, i have to come clean: someone told me you can buy these can stoves from sidewalk vendors in raon. that's in quiapo. maybe i'll pay them a visit one of these days. I always read your articles Pres Alman. As for me, I am into silk screen printing project. uy. pwede din yan. teach me. or let's do a few projects. haha.